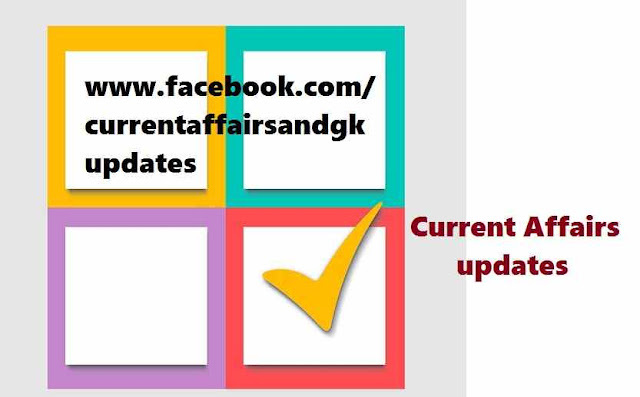 updates till 14 August 2015 are given below.Updates on 13 August and 14 August are covered.These updates are very useful for upcoming recruitment tests like SSC(Staff Selection Commission), RRB(Railway Recruitment Board), RBI Recruitment,SBI Recruitment IBPS,Postal,Insurance and other state level recruitment tests. 2.Tata Motors (Chairman Cyrus Mistry)skipped a dividend payout for the first time in 15 years.Tata Motors had last skipped a dividend payout in fiscal year in 2000-2001,when Ratan Tata was the chairman. 3.Hero Cycles founder chairman OP Munjal (86) passed away following a cardiac arrest.In the 1980s,Hero Cycles became the largest bicycle manufacturer in the world. 4.Om Prakash Rawat,a former Madhya Pradesh cadre IAS Officer was appointed as the new Election Commissioner. 5.Twitter has pulled out 140 caharacter limit from Direct Messages.Twitter will now allow users to send direct messages taht are 10,000 Characters long. 6.Indian Hockey Team beat Spain in the final encounter to win the Three Test Series by 2-1 margin. 7.Indian Women Boxer Saweety Boora won Siver medal(81 kg) at Asian Women's Boxing Championship,China. 8.Sania Mirza officially approved for the coveted Rajiv Gandhi Khel Ratna award,becoming only the second tennis player to be nominated for the highest sporting honour. 9.The Election Commission suspended it's nation wide campaign to link Electoral Photo Identity Card (EPIC) of every voter with his or her Aadhar number issued by Unique Identification Authority of India(UIAI). 10.Finance Minister Arun Jaitley launched Indradhanush paln to revamp functioning of Public Sector Banks.The seven elements include Appointments,Board of Bureau,Capitalization,De-stressing, Empowerment, Framework of Accountability and Governanace Reforms.